Buying, storing, and preparing food can be overwhelming for anyone who isn’t a professional chef. That’s where The Food Safety Book comes in. 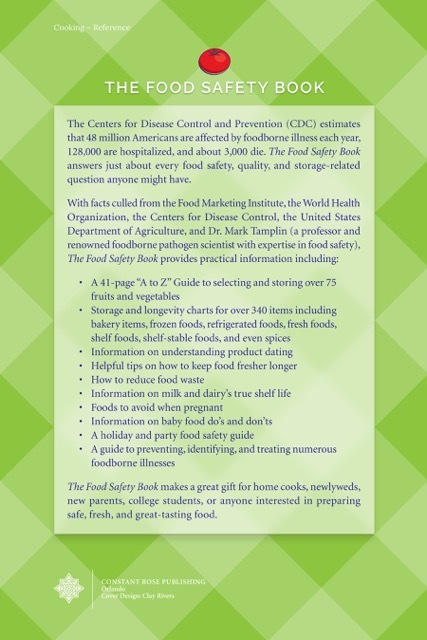 Author Joe Kivett began writing the book to answer his own questions regarding food expiration, but he found that a more in-depth guide to the topic of food safety was needed to help answer important questions regarding proper food storage and avoiding foodborne illness (a chapter specially written by Kivett’s father, a family physician). 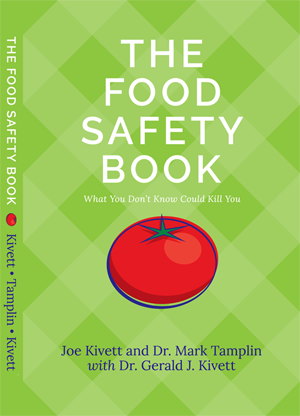 Kivett also teamed up with Dr. Mark Tamplin, an internationally recognized foodborne pathogen scientist, to co-author the book. If stored properly (38°-40°F), milk will remain fresh for up to five days beyond its shelf-removal date. However, “when in doubt, throw it out.” If you’re not sure that your food is safe to consume, dispose of it! Store vegetables away from fruit in the refrigerator. Keep apples and bananas away from other produce (unless you want to speed up ripening). According to the CDC, the primary source of norovirus (responsible for 58 percent of all foodborne illness) comes from infected people who do not wash their hands after using the bathroom. Be sure to carefully wash your hands with soap and water for at least 20 seconds. Plan ahead and allow 24 hours per five pounds of frozen meat. Food that has been thawed in the refrigerator is safe to refreeze without cooking; however, some foods may lose their flavor. Use an insulated chest and keep food hot until it’s consumed. After two hours, hot food kept in the Danger Zone (between 40° and 140°F) may not be safe to eat. Always check mail order packages for leaks, dents, or other damage. When storing mail order food, be sure to read the manufacturer’s label to determine the proper storage location. Never keep perishable foods in the Danger Zone—between 40° and 140°F (the birthplace of all bacteria)—for more than two hours.